The final episode of W Network’s Game of Homes aired last night awarding Charlotte Fenton and Sean Duncan the ultimate prize: their renovated house and a plot of land to put it on. With eight weeks to renovate four decrepit homes room-by-room, four teams of amateur renovators battled small budgets, tight deadlines, cramped quarters and each other for a chance to win their dream home. The competition came to a close as Charlotte and Sean impressed the judges and the public with the broad appeal of their West Coast-meets-modern-style home to beat out the other three teams. Each week, Game of Homes host Cameron Mathison guided the teams as they competed for the biggest prize of its kind. The season finale was a breathtaking race to the finish as teams had only 24 hours to correct their renovation mistakes from previous challenges. Throughout the series, judges Cheryl Torrenueva (Home to Go, Restaurant Makeover) and Jeremy MacPherson (The Re-Inventors) assessed the design and workmanship of each team’s room transformation with guest celebrity judges. Teams faced weekly challenges that would prepare them for the final presentation. In the grand finale, Cameron welcomed the public to view the finished houses and cast their vote on which team achieved the most spectacular home renovation. The public vote, along with the views of the judges, changed the lives of the winning team by awarding them with the ultimate prize. ina Johar; vibrant and confident couple, and recently engaged pair, Disa Ottosdottir and Russell Schaper-Kotter. Weekly celebrity guest judges have included Jillian Harris and Todd Talbot from W Network’s Love It or List It Vancouver; Drew and Jonathan Scott from W Network’s Property Brothers; Kortney and Dave Wilson from W Network’s Masters of Flip; Colin and Justin (Colin and Justin’s Home Heist, I’m A Celebrity, Get Me Out of Here); Kelly Deck (Take it Outside); and Dee Dee Eustace (Love By Design, Real Designing Women). W Network is the leading destination for Canadian women delivering/with a range of compelling entertainment from original programming to lifestyle series, blockbuster movies and popular dramas. 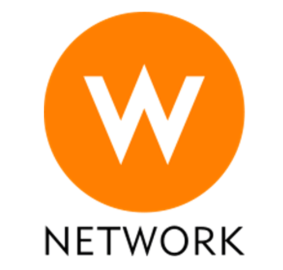 W Network’s online offerings include WNetwork.com, W Dish and W View. With its extensive research capabilities and consumer insights, W Network is recognized as a leading expert in marketing to women. W Network is owned by Canadian-based media and entertainment company Corus Entertainment. For more information, visit WNetwork.com and corusent.com. Great Pacific Media is a global leader in factual television. Started by TV veterans Blair Reekie and Mark Miller, their programs are seen in more than 170 countries. They specialize in development, production, co-production, and financing of factual, documentary, game show and reality television. Great Pacific Media was recently acquired by the Thunderbird group of companies to accelerate the growth of Thunderbird’s presence in the unscripted television space. The Thunderbird Group includes London-based theatrical distributor Soda Pictures and Vancouver-based production company Reunion Pictures. This entry was posted in Game of Homes and tagged 2014, 2015, ABC, Application, Blair Reekie, blog, Buying, Cameron Mathison, Canada, casting, Drew Scott, Episodes, Executive, family, filming, Friends, Game of Homes, Good Morning America, Great Pacific Media, Great Pacific Television, Highway Thru Hell, host, House, Interior Design, Jonathan Scott, Lesley Diana, Love It or List It, Mark Tiu, Media, photography, press, prizes, producer, Property Brothers, real estate, Renovation, Selling, television, The Promotion People, Todd Talbot, TV, Undercover Boss, Untold Stories of the ER, Vancouver, W Network on May 6, 2015 by press.